Sale-a-bration BEGINS TODAY!!!!! And I am so loving these Sale-a-bration 2013 goodies!! 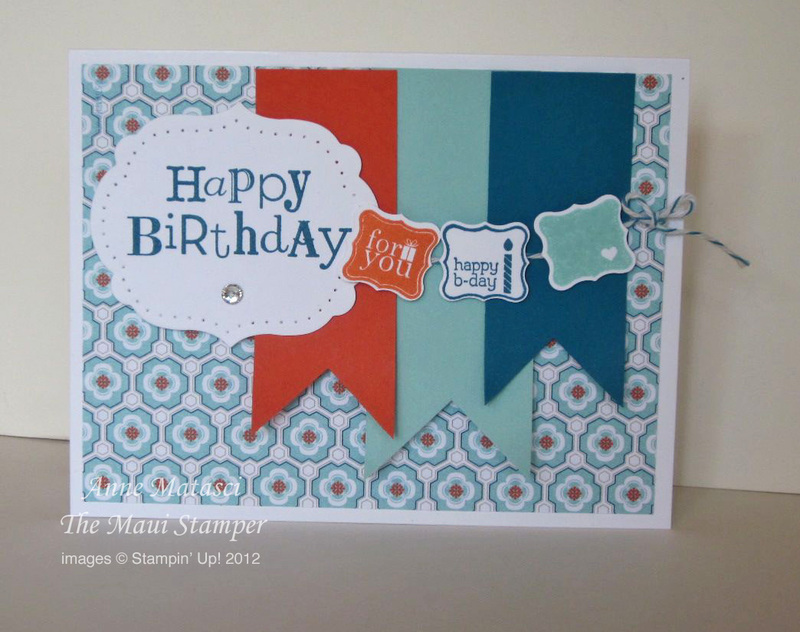 This card is substantially CASEd from a talented stamper and I PROMISE I made a note of the image but it has evaporated!! I pinned it! I know I did! The pinner’s black hole must have eaten it up. I changed the background dsp and a few other minor elements, but this design belongs to someone else. And isn’t it cute? If you tweaked the colors a little more it would be an excellent man-card, but I think it’s reasonably gender-neutral as it is. When you put it together, poke a small hole on the right side of the DSP and thread the Bakers Twine through without cutting it off. 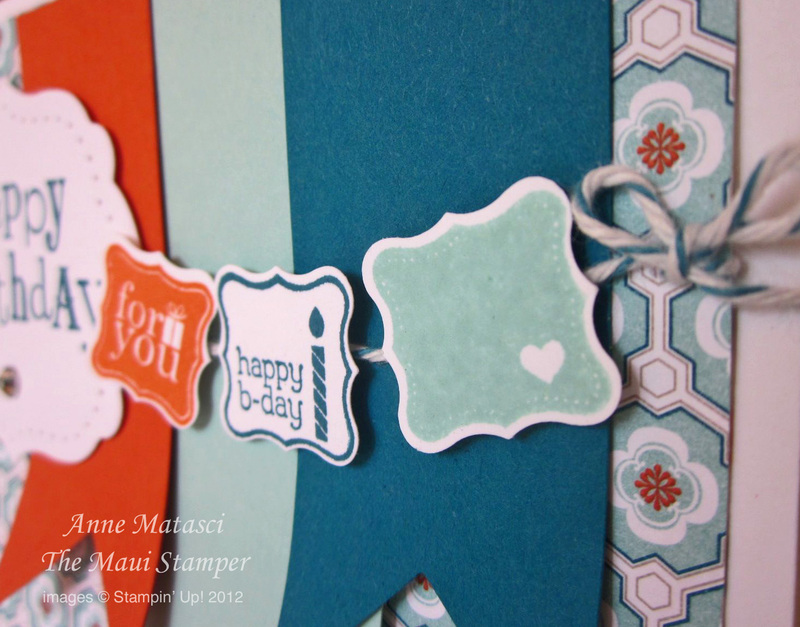 Tie a bow, then drape the long tail across the card front and secure it. Your sentiment will cover that end, and your Petite Curly Label punches can go on dimensionals right over it. Now go make a card – any card!! oooh! Love the color combo!